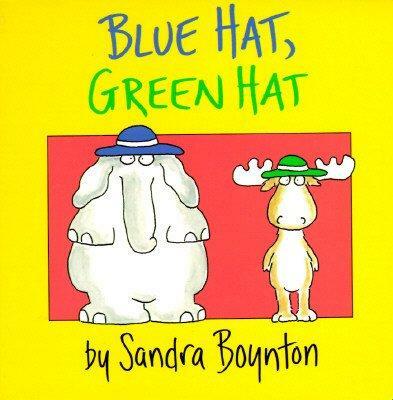 Top ten, um fifteen (this is hard), board books you must have when stranded on a deserted island with your preschooler. Because water and food are so very overrated. Kids love the idea of knowing something that a book character does not. Especially when it involves a clever, key-stealing gorilla. The double-page spread of all the eyes opening in the dark upon realizing they've been caught sneaking into the zookeeper's bedroom is pure perfection. The finest example of simple repetition involving an even simpler rhyme scheme. Easy to memorize, and teaches colors, animals, and rhythm. 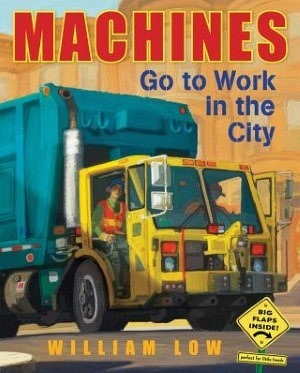 All of Boynton's board books are beyond hilarious. This one, however, is the cream of the crop. My son called this the "silly turkey" book. As in at the end of every page he would shout with glee, "HA HA HA THAT SILLY TURKEY!" 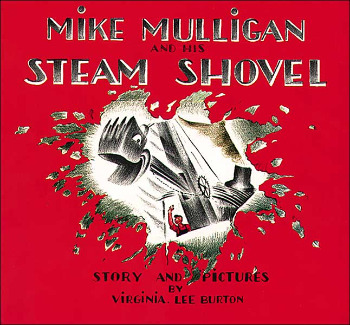 A long while back I wrote a lengthy paper in library school explicating this as the perfect picture book. To make a long story short, the lullaby of the great green room is peerless. This is my number one must have, forever and ever, amen. All about friendship. The simple text and clean watercolors are perfect for the preschool crowd. I love a book that can convey multitudes in a few choice words: "Gossie and Gertie are friends. Best friends." Celebrates love of family and friends and the momentous occasion of a little one turning (slightly) older. Preschoolers love watching Little Gorilla grow big and still bask in that same love. I was a lazy potty training mother. By my third, I didn't do much at all. This book's subtle storyline features Ducky wondering why his friend Piggy won't come out of the bathroom to play. Is Piggy having fun in there? Maybe Ducky should try it? And the diaper is touch-and-feel fuzzy. Absolutely endearing and low pressure. The finest example of a die-cut book in the known world. A lovely paean to healthy eating and metamorphosis, to boot. This is my favorite felt board story to tell. Kids always exhale triumphantly when the caterpillar becomes a "beautiful butterfly." Every time I open this nearly wordless book I am stunned by the artist's ability to convey movement on a static page. And you can't help but hear the chugga-chugga in the background. Yes, it is possible to find a book about mother love without sinking into saccharine story lines. And the owlets are absolutely adorable as they try not to scare themselves to death while mama's out hunting. Their relief when she returns is reassuring and palpably cute. A wonderful way to share the concept that mamas always come back. If you run away," said his mother, "I will run after you. For you are my little bunny." 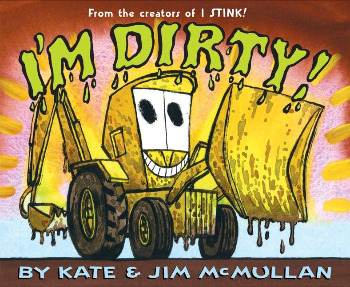 With all the board books out there in the world it seems like I could come up with fifteen different author/artist duos. 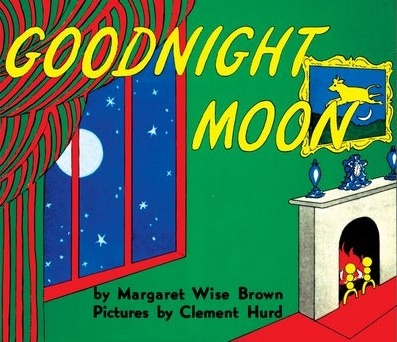 But this book cannot be left out, despite the inclusion of Goodnight, Moon. A flight of imagination and a story of steadfast love. 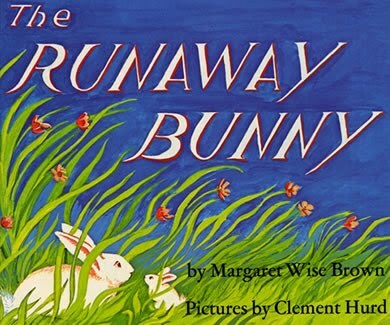 Oh, and the best last line ever: “Shucks,” said the bunny, “I might just as well stay where I am and be your little bunny.” And so he did. "Have a carrot," said the mother bunny. The dog, the cat, the cow, and the duck just cannot figure out how to make the baby happy. They try food, a bath, even fun and games. It turns out baby just needs to go to bed. And when he wakes up, refreshed and happy? He sees a pile of exhausted animal-slash-caretakers snoozing away nearby. 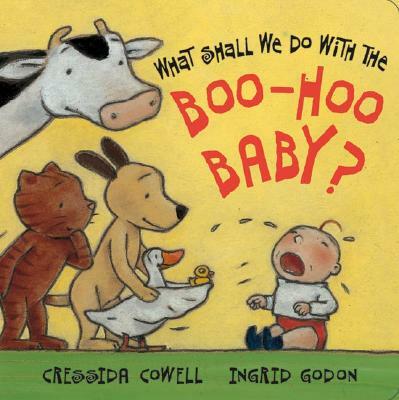 A fabulous read aloud, as you can exaggerate the cries of the boo-hoo baby and the bewilderment of his sitters. Three things young toddlers love: babies, a good game of peek-a-boo, and pointing out their heads, hands, and feet as they learn to identify parts of their fascinating bodies on cue. This sturdy lift-the-flap combines all three delights. This isn't actually a board book, but its full-page flaps put it in the same genre. Mama and Papa try to get baby to go to sleep, but he's too busy dancing the cha cha with the chocolate-colored cow and the polka with the polka-dotted pig. 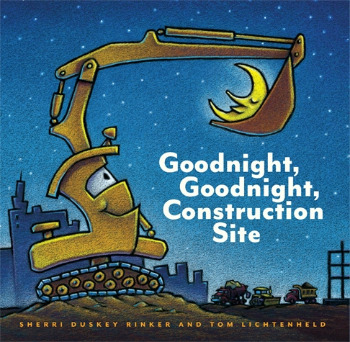 The energy is exuberant, the alliteration begs to be read aloud, and the rhymes are super fun. If you only pick up one book from this list, please make it this one! 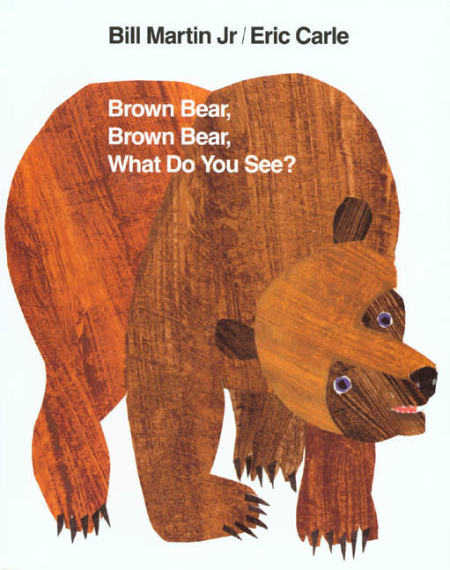 This title is also available as a paperback, but I found that my kids most enjoyed it at age three, when board books are easier to handle, and we got many miles out of our board book version. 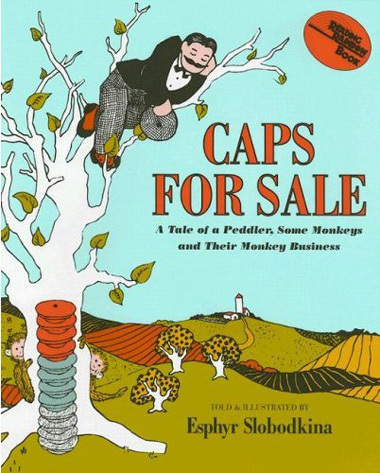 The monkeys mock and frustrate the peddler, whose caps they've stolen as he takes a nap under their tree. But in the end, the peddler puts his anger aside and cleverly manages to outwit his opponents. A rhythmic read with just the right amount of repetition. I'm eager to hear your favorites. What board books have I left off my list that you think little ones can't live without? Let's compare notes.